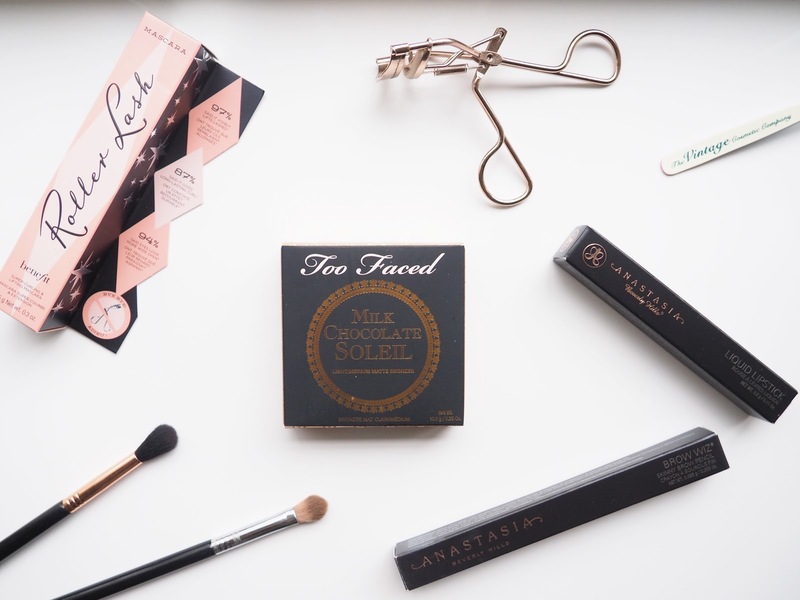 For Christmas I received a few little beauty bits and I thought I'd share them with you today on the blog! Two bits I have previously purchased and the other two I'd never had before. 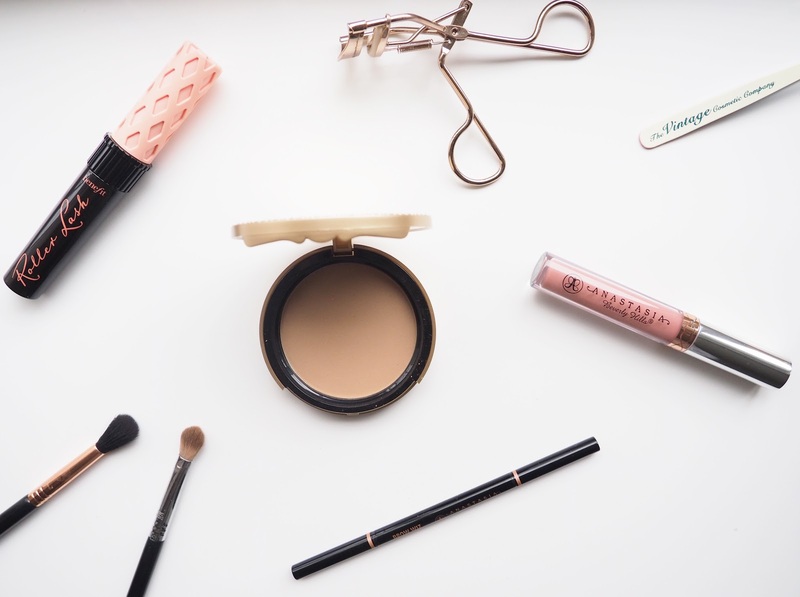 I don't normally tend to ask for many beauty bits as presents, just because I feel bad if I get bought something and then either don't like it or never use it! So I would prefer to waste my own money, rather than someone else's! Think of this post as a little mini 'haul' if you like, if you'd rather not be reminded of the fact that Christmas is over.. I kept this post Christmas/glitter/sequin/tinsel free, just so you don't feel like you're reading a Christmas type post! I've been using Benefit's Hoola Bronzer for the longest time now, and I've sort of fallen out of love with it. I just find it a little bit too orange in tone for me and I fancy trying out something different. 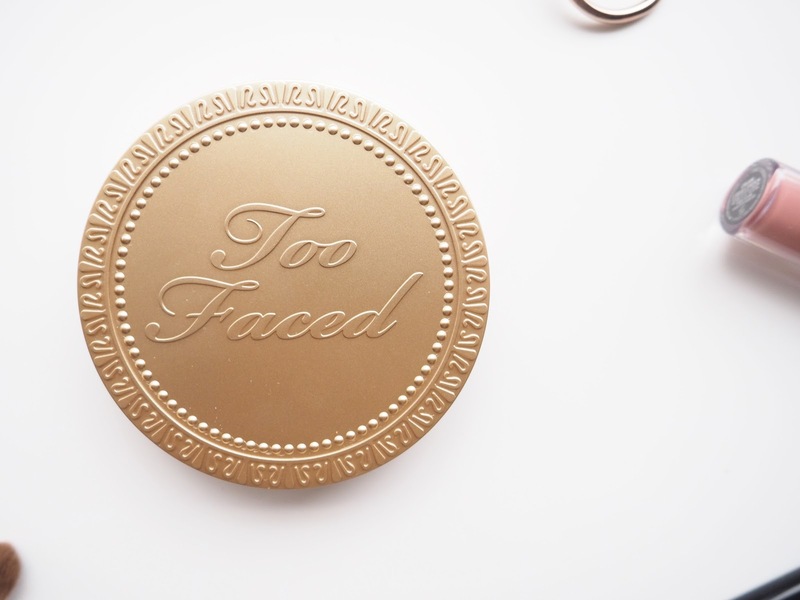 I hadn't really heard much about the Too Faced bronzer's, so I decided to give one a try (I promise I wasn't swayed at all by the fact that it smells like chocolate..). I have already tried this product out and I absolutely love it. 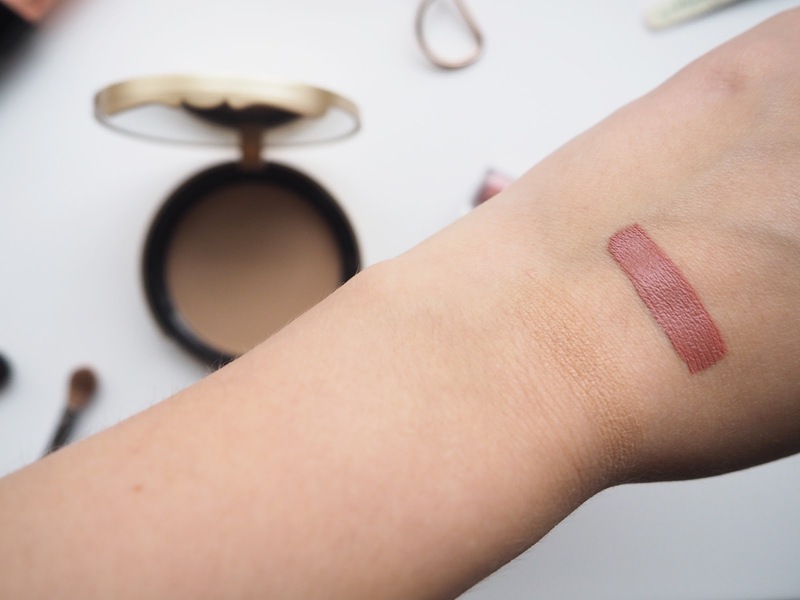 In the swatch above, you can hardly see the bronzer - it's to the left of the lipstick swatch - but that is what I love about it. 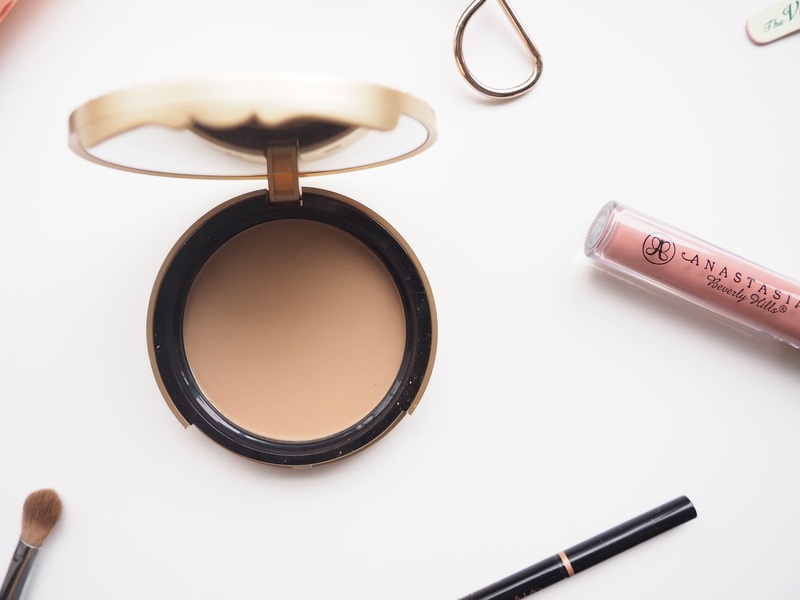 I prefer my contour/bronzer to be on the subtle side, as I am petrified of looking patchy and muddy. 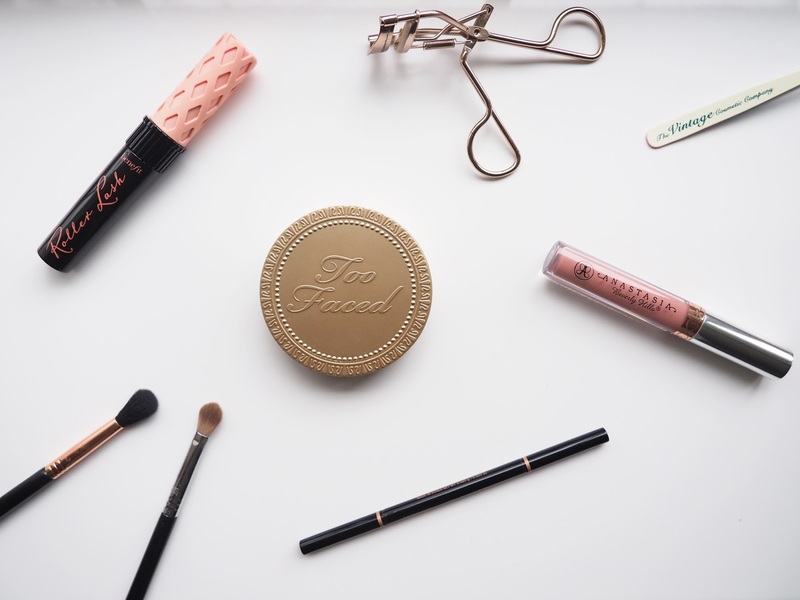 I can already see this bronzer being my new favourite product! I have been d y i n g to try out one of the ABH Liquid Lipstick's for over a year now! It's very annoying that they're not yet readily available in the UK. I received this lipstick as a gift from my mum, as she was over in New York back at the end of the last year. She did actually tell me that she couldn't get this one as it was out of stock, little did I know she was telling a little white lie! I'm so pleased and I can't wait to see what the formula is like and whether or not the shade suits me. I've been obsessed with this mascara for ages now. 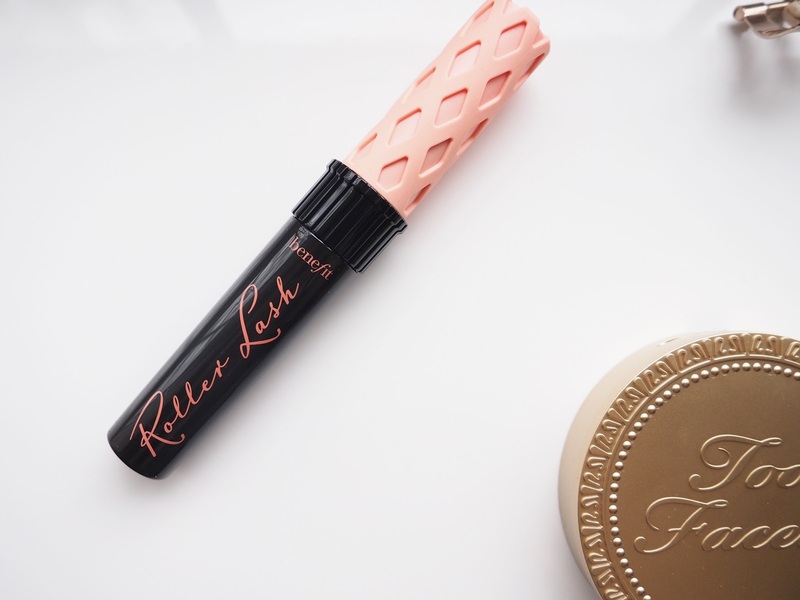 I've never really used a mascara so much before that it's run out, so this was a first for me - so of course I had to add it to my Christmas wishlist! My eyelashes aren't my best friend and don't tend to look the way I want them to, so it's hard to find a mascara that I love this much that doesn't make my eyelashes go clumpy. It also doesn't transfer which is great and it doesn't feel crispy on your lashes once it's dried. There's not much more to say about this mascara, apart from the fact that I absolutely love it! It was one of the worst makeup days when my beloved Brow Wiz ran out a few months back. I had just mastered my eyebrows and had started to make them look good (or so I thought..), so when my brow wiz ran out I did panic a little bit, not gonna lie. I decided to try out the NYX Brow Pomade before re-purchasing the Brow Wiz, just to see if I liked it as much. I do actually prefer the brow pomade, but that's another post for another day. 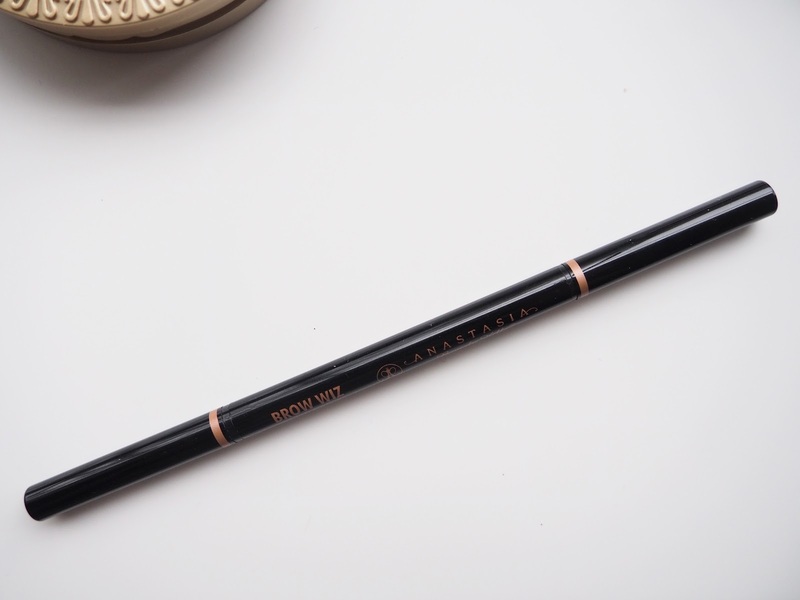 I'm glad to have my brow wiz back and it's time to start re-learning how to use it! Next year I will definitely be asking for makeup bits and bobs, because it was so fun opening it all and trying a couple of new products out!